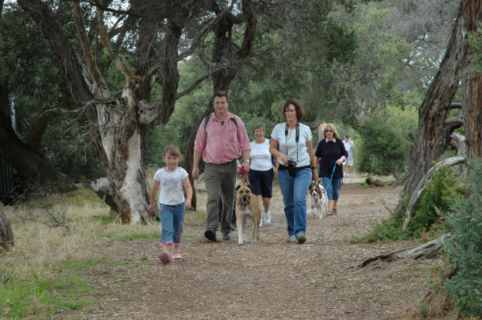 The 7.5 kilometre Kananook Walking Trail follows the creek from the mouth at Frankston Pier to Eel Race Road. Major entry and exit points to the trail are denoted by signs designed and installed by Frankston City Council. The number of access points make it possible to walk the entire length of the trail or to walk short sections, either returning by the same path or linking with the Seaford Foreshore Trail. An extended walk returning via the foreshore trail is an energetic option. A shared walking/bicycle path circuits the Seaford Wetlands and is also within walking distance from some northern sections of the Kananook Walking Trail. Walk softly along the Kananook Trail. 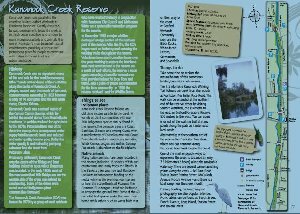 Pause to listen in silence now and then, and you will soon discover that the Kananook Creek Reserves are indeed valuable habitat for our native creatures.